The Adidas Terrex Agravic Alpha is a very light breathable jacket aimed at climbing, trail-running, and mountain-biking. This is not a rain jacket. It features strategic lightweight Polartec Alpha insulation, notably in the front and on the top of the sleeves, as well as a lighter more breathable material over the back and underarms. Polartec Alpha is a fantastic innovation from Polartec which we've reviewed before in the Rab Alpha Flux, we previously really enjoyed the breathability and warmth of the Alpha system and this really hasn't changed. 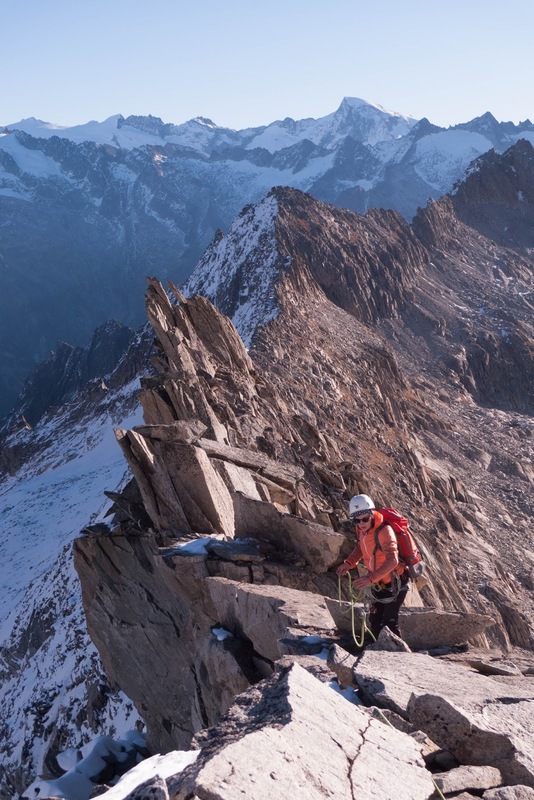 This reviewer has worn the Adidas Terrex Agravic Alpha over a summer of climbing in the Swiss Alps. At 170g, the Addidas Terrex Agravic Alpha is light. We found it to offer a comparable level of protection against wind and cold than heavier jackets. This reviewer found it notably well suited to alpine climbing in summer, although this light-weight and performance comes at the cost of durability. It did notably sustain some damage climbing on abrasive alpine granite (one small hole). 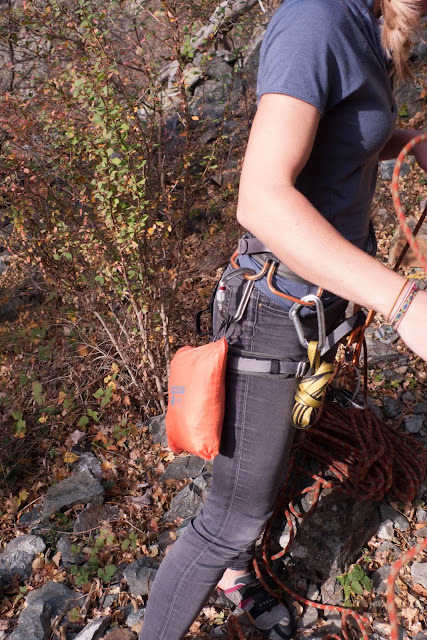 The cut is well suited to climbing, this reviewer found the jacket to effectively stay tucked in her harness. The wrist elastics work well to keep the sleeves in place. Overall, we find this to be a wonderful light jacket for high exertion activities that do not involve any abrasive media (granite for ex.). Aside from its low durability (which is to be expected at such a weight) we cannot really fault this jacket.